Walsh College Barry Center — Valerio Dewalt Train Associates, Inc.
Walsh College in Troy, Michigan, provides advanced business education to professionals. The majority of Walsh students work full-time in the business community and attend classes in the evening. Outdated buildings and spaces left faculty, staff, and students with insufficient, poorly performing spaces for Walsh’s contemporary needs and mission. Facing a 40% enrollment increase, Walsh College brought on the Valerio Dewalt Train team to develop a master plan to improve the function and identity of the campus. The project began with becoming fully immersed in the college environment, attending classes and working in administrative offices, allowing for a design outcome to be driven by user experience. The Barry Center, a two-story 36,000 SF addition, is the first phase of a three phase master plan redevelopment. The new building refreshes the campus identity and provides a new library, lecture hall, classrooms and seminar rooms. The striking design of the Barry Center supports a business curriculum, welcomes the community to partake in the Walsh experience and gives the campus a sense of place. The building is certified LEED Gold for its sustainable strategies including on site stormwater cleaning through bioswales and storage using a constructed wetland, high performance thermal envelope, daylight harvesting, energy optimization for night occupancy and improved indoor air quality. The second phase of the project is a 75,000SF interior renovation of the existing building that provides coherence for a building that has grown by accretion over the past 50 years. 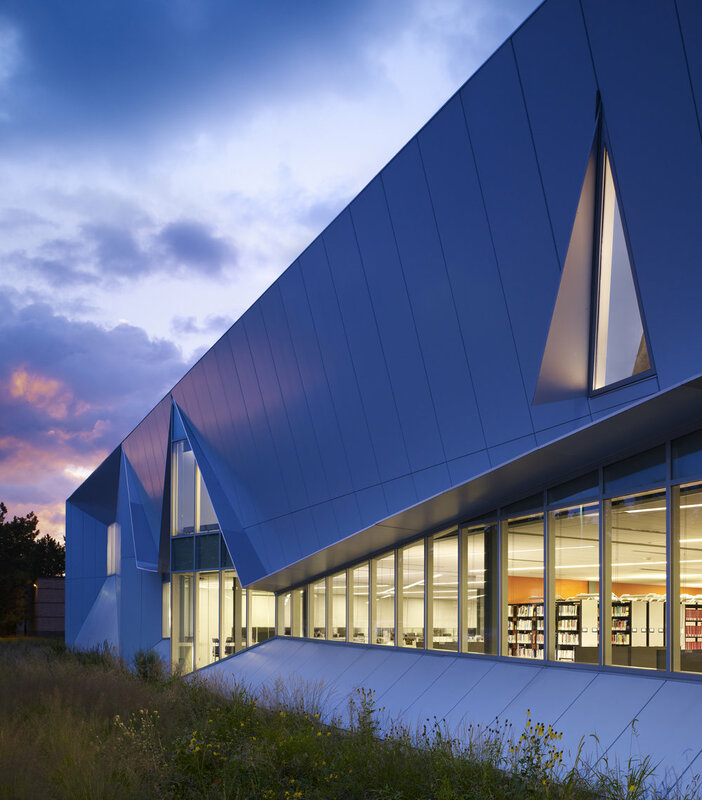 The third phase, the Livernois Road Addition, is a 40,000SF addition located across a quadrangle created by the first phase.